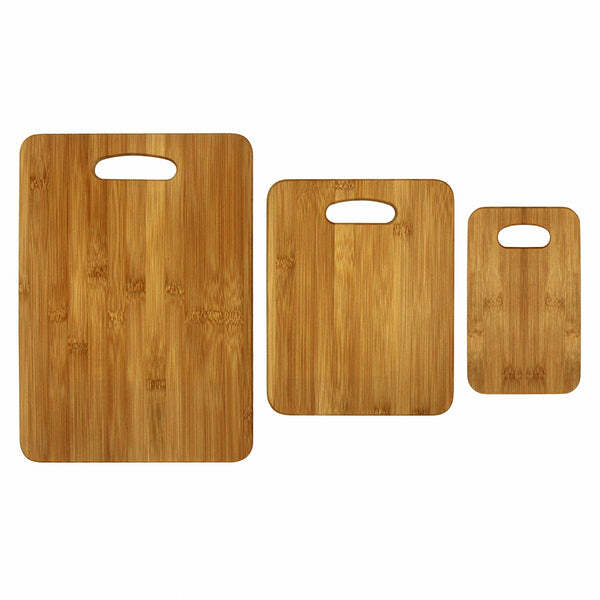 Oceanstar 3-Piece Bamboo Cutting Board Set CB1316 (cutting board, kitchen, oceanstar) | Cutting Board | Oceanstar Design Group Inc.
Keep your countertops scratch free and make your food preparation more convenient and safe with the eco-friendly Oceanstar cutting board set. The set comes in 3 versatile sizes for every cutting task. You can prepare fruits on the small cutting board to serve house guests, cut vegetables on the medium sized board, or carve meat on the large sized board. Save time while prepping food and prevent cross-contamination with the Oceanstar 3 Piece cutting board set. 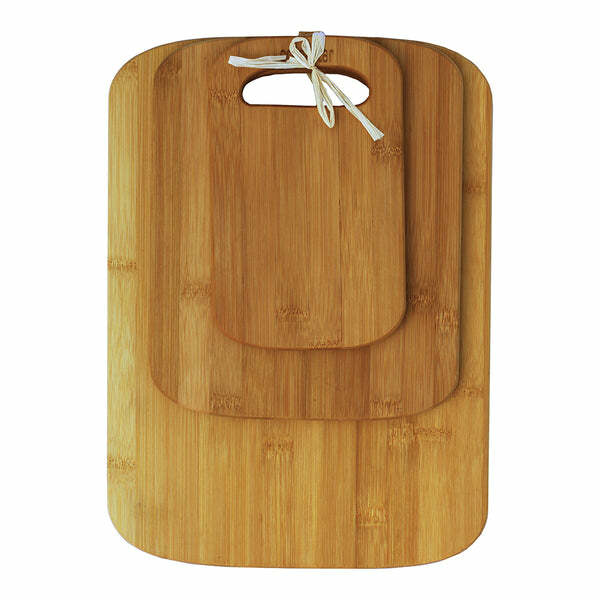 The lightweight cutting boards are easy to maintain and store in any space. With its lightweight and elegant round edged design, you can even use the cutting boards as a tray to present finger foods, cheese, or small snacks for your house guests. The Oceanstar 3 Piece Cutting Board Set is handy, multi-functional, and convenient for any cutting tasks and preparation. How to clean: We recommend hand washing the boards softly with a sponge or towel using warm water and light soap.How to maintain its durability: Coat the cutting board with mineral oil. Use a cotton cloth to apply. Let it soak for 20 minutes before wiping the excess away with a dry cloth. Perform this action before using the cutting board for the first time and at least once per month after.Special Caution: Do not immerse the cutting boards under water for prolonged period of time; place in the dishwasher, or in the microwave/oven, as it will damage the bamboo material. 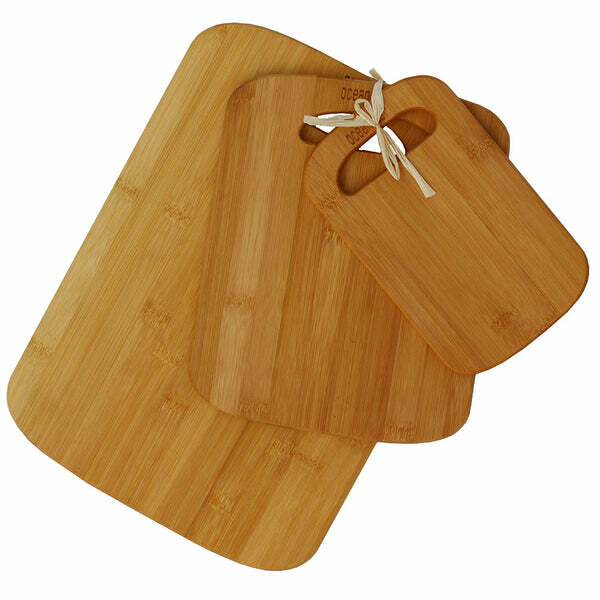 We do not recommend using vinegar, undiluted bleach, vegetable oil, olive oil, or safflower oil, to the bamboo cutting boards, as they can cause damage that cannot be repaired.